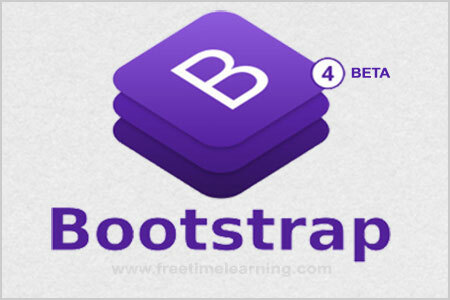 Bootstrap 4 flex quickly manage the layout, alignment, and sizing of grid columns, navigation, components, and more with a full suite of responsive flexbox utilities. Set the direction of flex items in a flex container with direction utilities. Use .flex-row to set a horizontal direction (the browser default), or .flex-row-reverse to start the horizontal direction from the opposite side. Responsive variations also exist for .flex-direction. Use justify-content utilities on flexbox containers to change the alignment of flex items on the main axis (the x-axis to start, y-axis if .flex-direction : column). Choose from start (browser default), end, center, between, or around. Responsive variations also exist for .justify-content. Yse .align-items utilities on flexbox containers to change the alignment of flex items on the cross axis (the y-axis to start, x-axis if .flex-direction: column). Choose from start, end, center, baseline, or stretch (browser default). Responsive variations also exist for .align-items. The below three examples of controlling flex items via auto margins: default (no auto margin), pushing two items to the right (.mr-auto), and pushing two items to the left (.ml-auto). Responsive variations also exist for .flex-wrap. Change the visual order of specific flex items with a handful of order utilities. We only provide options for making an item first or last, as well as a reset to use the DOM order.